This March, I’m going to be speaking to a group of bed and breakfast innkeepers on the subject of how and why we choose accommodations when we travel. Of particular interest to this group is: When people are planning a trip, how do they start looking for a place to stay? Do they have a favorite booking platform or do they prefer booking direct? Do they even consider looking at B&Bs or do they automatically head for the big chain hotels? What are some things that attract or discourage them from staying at a B&B? What catches their eye, makes them stop and take a second look, and press the RESERVE button – or turn around and run as quickly as possible to the local Motel 6? This isn’t the Match Game, but I’m going to make a go at helping you to determine if you and my books would make a good pair. My books aren’t serials – each of them stands alone, but several are linked together in groupings for those who enjoy getting a second or third glimpse of their favorite characters. 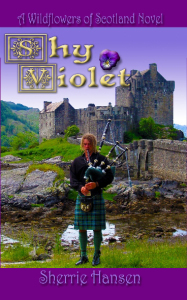 My Wildflower of Scotland novels (Thistle Down, Wild Rose, Blue Belle, Shy Violet, Sweet William, and Golden Rod) are interconnected through family and friends, as is the Maple Valley Trilogy (Stormy Weather, Water Lily, and Merry Go Round) through the lives of sisters Rae, Michelle, and Tracy. 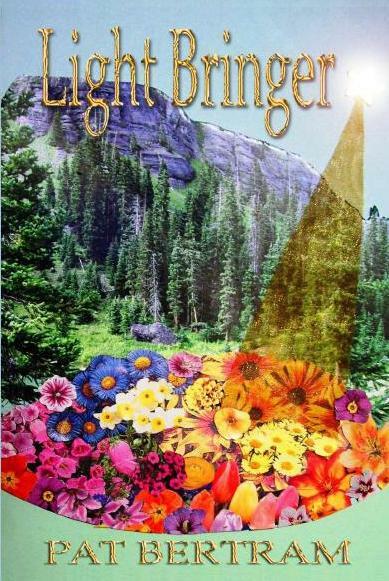 Daybreak, to be released this summer, is a sequel to Night and Day, and has cameo appearances by characters from Love Notes and Sweet William. I truly believe that the things we like, comment on, and post about on social media are a window into our general aura and a commentary of what’s important to us. If you like my perspective, the things I focus on and take photos of, the music I listen to, the foods I make at my B&B and teahouse, and the paintings I create in my spare time, you’ll most likely enjoy my books and the characters I write about, all of whom are a reflection of me, my style, and my passions. You might like my books if you’re a small town girl – or guy – at heart. Whether my books are set in Minnesota, Iowa, Wisconsin, Canada, California, Denmark, Scotland or France, they have small town or even rural settings. They’re populated by people who love wide open spaces and seeing the sun sink into the horizon at the end of the day, and who appreciate and can chuckle about the quirky personalities that are a part of small town living. If you’ve read any of my novels, you can probably think of a few more reasons you enjoy my books and choose them over the millions of other options available to you. A friend of mine once said he never wanted to be accused of being normal. I’ve tried to apply this concept to every part of my life, whether my B&B, teahouse, art or writing. I don’t know if I’ve inspired anyone new to give my books a try, but I’ve enjoyed giving you a glimpse into what makes me and my books unique. To those who are already readers, or who have visited The Blue Belle Inn, my B&B and teahouse, thank you for coming along for the ride! It means the world to me. P.S. If you’ve enjoyed one or more of my books like I hope you have – or visited the Blue Belle Inn, please remember that authors and innkeepers need reviews to attract prospective readers and guests! Years ago and for over 20 years I owned my own Belly Gram business. That was before the Internet, and service based businesses were traditionally advertised in the Yellow Pages of the phone directory or local newspapers, or even on restaurant paper place mats. My business was mainly like a telegram service. Someone would phone and ask if I would help them celebrate someone’s birthday or anniversary, farewell, or get-well, at their business, a home, restaurant, or hospital. I had a ten-minute belly dance routine, my Middle Eastern music on a boom box, and I traveled to wherever the party was, met that person in charge, who told me what my guest-of-honor looked like, where he (or she) was located, and I showed them which button to press on my music when they had their guest-of-honor in place. When I heard my music start, that was my cue to enter the room. The first part of my routine was fun and lively and I circled the room set aside for me to dance in and zoomed in on my “victim”-er guest-of-honor. Then I had a lovely slow section of music in which I wrapped my veil around his head and presented him with a red velvet banner with his name and “Happy Birthday” (or whatever the occasion was), and the last part was fast again and I used my tambourine which ended up on my “victim’s” head on top of the veil so he appeared Middle Eastern. My aim was to make my guest-of-honor feel special that someone valued them enough to arrange a party and to hire me to help them celebrate the occasion. Although I didn’t take myself too seriously, I certainly did take my job seriously and enjoyed it until I retired from dance. I also did longer shows for groups like the Shriner’s, Greek nights, trade shows, etc. I said all that to give you, dear reader, an idea what the service was about. The advertising that was most successful over the years was “word of mouth” with the Yellow Pages ad coming in second. But occasionally, I had to think outside the box, so to speak. I approached restaurant owners/managers to do party room birthdays for groups as well as individual birthday events. I spoke with an outdoor amphitheater management about my work and also our local Shakespeare Theatre, a football stadium for tailgate parties, night clubs for special entertainment nights. An events coordinator hired me to perform in national trade shows at different resorts. The Leukemia Society asked me to become a fund raiser for their Celebrity Waiter’s Luncheons, which I did for ten years. I did military parties and shows on military bases and even a few Scottish céilidh events in a tartan costume. And, one of the Scottish events turned into a performance for the Finance Minister of Saudi Arabia. Several movie companies came to our town and I was hired for actor’s and producer’s birthdays. I could go on and on, but the idea I’m trying to get across is thinking outside the box for whatever it is you are interested in promoting. I remember shortly before I retired from dance, my husband came home and told me he was in a local drug store looking at the greeting cards and he left my business card in several of the categories. I had to laugh. Apparently, I had him thinking outside the box, too! Now I’m an author and advertising is different. And it isn’t. For one thing we have the Internet, but we still need to think outside the box. I’ve blogged and guest blogged, networked at conferences and conventions, made wearable book-cover pins, given talks and signings at libraries, etc. Authors, do you have some ideas to share on thinking-out-of-the-box advertising? Did my title confuse you, dear reader? Don’t worry, I’ll explain. 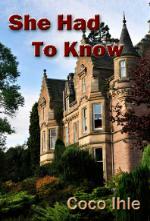 After my publisher launched my debut book, SHE HAD TO KNOW, in 2011, I gave a number of talks and signings for various organizations to familiarize people with me and my work. In addition, I was on several panels at writers’ conventions in which the subject of the panel had something to do with the panelists’ books, and a signing followed so attendees could purchase said books. For me, there were talks with signings at libraries, art galleries, and civic groups, but there was one thing in common with all these talks. No one had read my book yet. Of course, I’m referring to the public, not people who were associated with the publication of the book itself. I had been attending writers’ conventions and conferences for a number of years before my first publication, so there were lots of writers whom I had met and also lots of aspiring authors like me with whom to share experiences. In fact, an author friend introduced me to her agent. Although my author friend’s agent wasn’t looking for my particular book, it was a good experience for me to have contact with her. I also did several pitches to agents and editors at these conventions and finally I acquired my agent at a convention. It was all so frightening, exhilarating, exhausting, energizing, deterring and inspiring, and produced both insecurity and later a bit of confidence and I loved most every moment! In all of these instances people had not yet read my book, so in delivering my talk, I was always aware not to give away any important clue, or say too much about any character. My subject matter covered my motives for writing this particular book and what went into doing so. I talked about how I accomplished the research needed. Everything was general and somewhat vague, so as to not spoil the book for a new reader. I only realized this recently when I was scheduled to give a talk for a book club in which everyone had read my book. The first part of my talk with this group was like previous ones since most of my audience didn’t know me, but I started seeing smiles of recognition as I went on. I was able to talk more freely, specifically about placement of red herrings, or why a certain character acted a certain way. During my question and answer period, I received some interesting questions that I was able to answer fully without having to be concerned that someone’s reading experience would be ruined by a spoiler. This was the first time since my book came out that I had specific feedback on it. As an author, this experience was more helpful to me from a writer’s perspective. I guess one could call it a critique session from readers. I really enjoyed this. In this case, my audience was too kind to give me any negative feedback, but I would have welcomed that as well, because one learns from all criticism. Reviews and comments on Amazon and Goodreads are good too, but in the case of the book club, I was able to interact with my questioners. That isn’t possible, of course, in a review. The only drawback to doing a talk for a book club is that the author probably won’t sell many books, if any, because book clubs usually read lots of books over time and book stores and libraries usually don’t have enough copies for all the members to share. Since costs of books would get prohibitive, often the prospective readers will buy used books or ones from another vender than one that would provide a royalty to the author. I certainly understand that, but I have to say that’s not a reason for an author to not do book club talks, because I certainly learned a great deal from my experience and I would do it again in a heartbeat. Yes, we do want to get paid for our work, but sometimes the lessons we learn along the way can be much more valuable than the cost of a few books. I’d love to hear what you writers feel about this subject. Indie stores are community centers. People meet and talk. (Very true. I LOVE INDIE stores! Just wish I could sell my books in them). plus BRIEF info about it. And you’ll make a real-world salary, plenty to live on, in your first year! Bumping straight back down to reality, the radio will interview me, magazines will feature me, and readers will look for me if I’m famous or have sold lots of books. Meanwhile the indie store closest me closed. I only sold one book. And pyramids are still pyramids, even when they’re made of dreams. The best advice, of course, is to write a book that people will read, and I hope you’ll read mine. 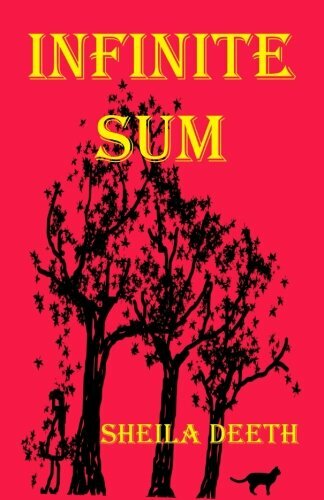 Sheila Deeth is the author of Infinite Sum, recently released by Indigo Sea. If you think she suffers from low self-esteem after reading this, please improve her self-confidence by reading and reviewing her novel. And if you or your loved ones are weighed down by things that happened in the past, this novel just might help you understand. I Can’t Believe I Did This Too! When I worked for McCormick and Co., Inc., originally we lived in the Nashville, TN area. However, in 1998, Bob was offered a opportunity to relocate to Naperville, IL, a southeast suburb of Chicago. At the time, I was the Southeast Regional Manager for my group. Thus, when not traveling, I worked from home. I was about to learn that timing is indeed, everything. A few weeks before his offer, I asked my group manager if I needed to quit if Bob’s career took us to the Chicago area. It was a hypothetical question, to which my manager answered no. Little did I or my manager know that question would become an actual one a few weeks later when Bob was interviewed and offered a position with a company just outside Chicago. It turned out that McCormick was already planning to reorganize the regions and that the Upper-Midwest Regional Manager had expressed a desire to move to Florida. Thus, the swap was an easy one. We moved, and I adjusted to my new region while concurrently continuing to manage the Southeast region. Shortly after moving to Florida, the other regional manager suffered a heart attack. A few years later, I caught wind of an unannounced opportunity within my group. The opportunity had to do with the Hispanic spice line, El Guapo packaged by a McCormick owned company, Mojave. Both the Mojave brand, and its sister brand, El Guapo, were two lines belonging to my group’s total product collection. I liked selling the Hispanic lines because they challenged me to identify potential markets to displace other local and regional brands. Living in the Chicago area, which, at that time, held the second largest Hispanic population in the U.S., inquiring about the position was a no-brainer for McCormick and me. I had already proven my ability with the Mojave lines while managing the Southeast. For example, the year before relocation, I managed to place 60 SKU’s (items) in the South Carolina-based Bi-Lo stores. I recall that accomplishment. Thus, when I asked about the unannounced opportunity, I was awarded the position. I immediately went to work placing products in stores in Chicago. At the time, my distributor and my broker were telling me there was no way that an unknown product was going to displace the brands already in those stores. That didn’t stop me. In fact, it inspired determination. I soon replaced a regional brand in a chain of twenty-four Delray Farm stores, at that time, the largest and only chain-type group of Hispanic stores in the Chicago Designated Market Area (DMA). That led to McCormick charging me with finding a warehouse space and developing that space into a distribution/picking product warehouse. I suppose other people would have panicked. I didn’t panic at all. Instead, I went into a paying attention and resourceful mode. The first thing I did was determine: if there are real estate companies that represent individual homeowners, then there must be real estate companies that represent commercial properties. I went on the Internet and found several. Soon, I found a 25,000 sq.ft. warehouse space in the outskirts of the largest Hispanic neighborhood in Chicago. My new boss made a visit with me to look over the property. He gave his approval and went back home to California. Next, I was asked to look for and purchase two delivery trucks. Again, I had no idea what I was doing, but soon, did find and purchased two used trucks in excellent condition. Until the warehouse space was set up for operation, two delivery people and I worked out of a storage unit. I split up the 24 stores between the two individuals, who reset the 24 stores and began servicing them. We needed to continue growing, however, if the operation was to flourish. So, I hired away from my broker a Mexican-born man who I named as my Manager of Operations. He took over supervising the two delivery people and became my main sales rep. He freed me up to organize and put together the warehouse space. I had been in the manufacturing business for fifteen years. During that period, I called on numerous distributors. I knew what a warehouse looked like and had a general feel for the layout. With the help of a Mojave-based product consultant, I began to plan the layout. However, before the layout could become a reality, I needed to buy racks. I went to the Internet again and found a rack manufacturer and ordered enough racks to fill the 25,000 sq.ft. space. I also outsourced the construction of the racks. As the warehouse space was under construction, I was asked to purchase a used forklift. This request completely stumped me. Where was I supposed to find a used forklift? I could easily find a new one, but McCormick wanted me to purchase a used one. Again I depended on my resourcefulness which paid off. One morning, I left the warehouse to run an errand. As I rounded the corner of the warehouse in my car, I spotted two men unloading a produce truck. They were unloading the truck pallet by pallet, and what were they using to do this? Forklifts! Instead of running my errand, I stopped and went into the building to find the company that employed the two men. I asked about the forklifts and was given the name of a man who not only sold used forklifts but also serviced them. Soon, we had a forklift and a person who could service the forklift. Within a few months, we had a fully stocked product warehouse. We also had ten additional stores to service and two additional delivery/service employees. A year later, I announced my early retirement. Bob and I were about to move back to the Nashville, TN area where I would go full-time developing a business I started on the weekends and worked on in the evenings. A year later too, the warehouse was distributing product to over 100 stores, many of them having 1-4 mom and pop type stores in the Chicago DMA. Also, we had several more trucks and delivery/service employees. When I first took this unannounced position, I had no idea what I was getting myself into. I also had no idea how to accomplish what I was asked to do. It’s amazing how a little I can do this attitude can benefit a person. The small twist of irony to this story was the business I took early retirement to build. WHO IS THE IRON COWGIRL? Long Live the Iron Cowgirl! ~Photo with my friend and supporter, Cathy, on the left. She surprised me by coming to one of the art and craft fairs this summer. I’d been thinking for a while about getting out to more fairs with my books, and researched all the art and craft fairs I could find around Minnesota during the summer. There must be a thousand of them. I sat down with my calendar early last spring, and started deliberating. I eliminated some because of the cost of the entry fee, others because of known conflicts, and still others because the venue didn’t fit for one reason or another. I chose six I felt were doable, and consulted with my husband because six Saturdays out of a Minnesota summer is a lot. Plus I have a pretty full schedule. overall. Two of the fairs were over 170 miles away, and I didn’t want to leave at 5:00 in the morning to get to them, so I found reasonable nearby hotels to stay in. I’d hoped to take my granddaughters with me to one of them, and my husband to the other, but neither panned out. I got rained out of one fair and wasn’t able to go, but that’s a risk with selling books at outdoor venues. At one of the events, I shared a booth space with two of my author friends, so that was nice for two reasons: the cost of the booth was split three ways, and I was able to bring a canopy instead of the umbrella I brought to the others. Setting up a 10 foot X 10 foot canopy takes at least two people, and I didn’t want to chance finding a willing helper at the fair. My sales booth is made up of a six foot table that folds in two, a folding chair, table cloth, and a table umbrella with a stand that I weight down with down with fifty pounds of weights. I also put bungee cords around the umbrella pole and attach them to the supports under the table. Every once in a while a gust of wind will come up, and the weights are crucial. I have posters made of my eight books and hang them from the umbrella. Not as classy as against a canopy backdrop, but it works. I display my books on the table, along with bookmarks I give away, and a sign-up sheet for my “newsletter.” I assure people about the only time I send something out is when I have a new book coming out. I have hundreds and hundreds of people on my email list. What a great way to get the word out to a large number of people at the same time. Another thing that has become more and more important at art and craft fairs is the ability to take credit cards. I’ve sold many hundreds of dollars worth of books because I was set up with a Square on my smart phone. Square takes a small percentage, but if it ensures a sale, it is well worth it. I’ve enjoyed getting out to different parts of the state and meeting new people. I do my best to invite them to my booth by smiling and saying, “Minnesota mysteries by a Minnesota author.” Some stop, others don’t. Many like to talk, and ask questions, like, “Oh, are you the author?” Or, “Who is your publisher?” “When did you start writing?” Things like that. Some fairs were better than others, but I always sold more than the entry fee, although with traveling expenses, sometimes I just broke even. Not figuring in the time factor, that is. I was also on a mystery panel in Wisconsin with fellow Twin Cities Sisters in Crime friends. And I’ll be with them again at the Minnesota State Fair on Read and Ride Day. Seven worthwhile marketing events in three months. I hand sell the majority of my books and it is paying off more and more as time goes on. Selling books is not always easy, but if you first sell yourself to readers, it is a giant step forward. People love meeting authors in person. I know I do. Christine Husom is the author of the Winnebago County Mysteries. I was invited to talk to a group of third, fourth, and fifth graders about the writing process and what goes into writing a book. This will happen tomorrow. Children are a joy to be with. It’s like they have sponges attached to their bodies, sucking in whatever information you give them. I’ll start out by asking if they’ve ever lain on their backs and watched the clouds move in the sky, and ask them to describe what they saw, how they felt. Someone is bound to say some look like cotton. Then I’ll tell them how when it was snowing recently my four-year-old grandson told me the flakes were big and looked like cotton balls—the clouds were breaking and the pieces were falling to the ground. That’s a great concept for a children’s story. A few years ago when I spoke to another class I made up large cards containing and explaining the elements of a story/book. We’ll touch on those. Purpose; why do you want to tell the story? Setting; what is the location, the time of the year? Point of View; who is telling the story, is it in first person or third person? Plot–Story; what are the key scenes moving the story from one point to the next and the actions of the characters? Characters; how do you make them believable, what drives them, motivates them, what do they care about? What a protagonist or main character is, and what an antagonist is. That a character may be an animal, or a bad storm. Dialogue; how does it help tell your story and things about your characters? I’ll ask them if their grandparents or teachers or friends all sound the same and use the same words. I’ll tell them it’s important to give their characters different voices. Pace; what is the speed and rhythm; do you want things to move slow or fast? Conflict, the heart of fictional plot; what is the struggle between your characters or forces? What is the bad guy doing that the good guy can’t walk away from? Climax, or when the tension is at the highest, toward the end of the book. I’ll show them what a manuscript looks like before and after it is published. How a big stack of papers turns into a book. Then I’ll draw a storyboard:twelve boxes, three rows of four, or four rows of three. In the first box, write down the question the book asks. In the last box, write the answer to that question. The other boxes are the plot points that lead to the eventual answer at the end. Storyboarding chapters is a tool to create logical flow after you have determined what your book is about, and why you are writing it. And then we’ll write a story together. I used the storyboard technique with a class a few years ago and they came up with a wonderfully creative tale. So, I best get my supplies together so I’m ready to meet my students in the morning. Christine Husom is the author of the Winnebago Mystery Series, set in Minnesota.